If you have a password, Enter Here. Continuing Education content geared specifically to Corrections and Correctional Nursing is now available to the general public at our Correctional Nurse Educator site. 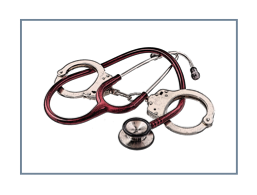 Current topics include Diabetes, Hypertension, Asthma, Cardiac Arrhythmias and the ECG, Cardiac Heart Sounds and Murmurs, Pain Management, Excited Delirium, Sexually Transmitted Infection, Red Eye in Corrections, Inmate Manipulation, Nursing Documentation and Suicide Prevention. We also have two Chronic Care Patient Education Curriculums, including patient handouts - Diabetes and Hypertension. We are currently completing work on classes in Medication Administration, Women’s Health Issues, Dental Evaluation in Corrections and Correctional Nurse Self-Care. We are also open to any suggestions/requests that you may have.